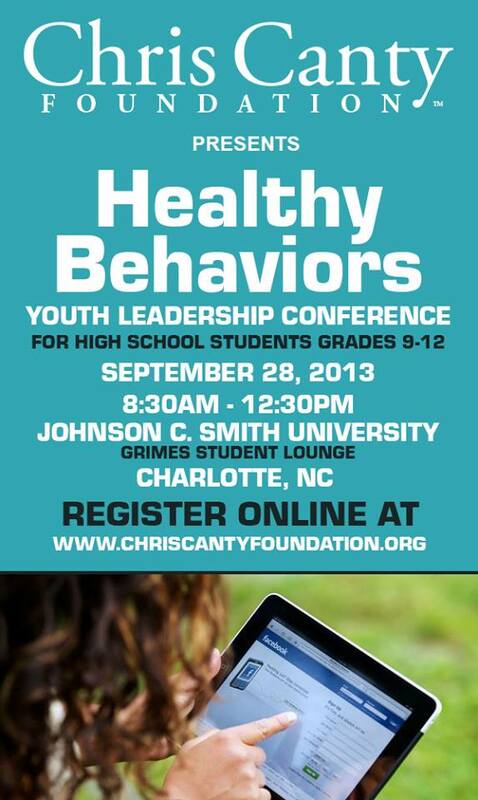 Founder and Super Bowl Champion Chris Canty of the Baltimore Ravens has sponsored a youth leadership conference for all high school students from 8:30 a.m. to Noon on September 28, 2013 on the Campus of Johns C. Smith University. A number of speakers will host sessions on Nutrition for Teens, Self Confidence for Young Ladies and Young Men, Staying Physically Fit, Social Media – Communicating The Right Way and more. The event is free and breakfast will be served. You must register here. BONUS! Compete to win free tickets to a Panthers game if you register your child by September 30.